Many of the Local 9-535 players interviewed had two different sets of memories – those before the 1960s, and those after. This is especially true for those who worked in the General Business field. The union hall was essentially a meeting place for players and contractors. Many of the members interviewed had vivid memories of times spent at the union building on St. Botolph Street. They [the union] built it… They bought this land [on St. Botolph Street] and they built this beautiful building. You go by there – they couldn’t change the facade of the building because they made it a historical park [landmark], thank God. All the composers named, beautiful, beautiful. When we were going through this upheaval of changes, I’d try to tell them, I was on the building committee, let’s go into a joint venture and make it condos. No, they had to sell it. We don’t want to be in the real estate business, which was a lot of baloney. Now the thing’s worth about $15 million… [When was it built?] In the 20s. This is all before WWII. When I joined, which was what, a few years before WWII, you walk in there on a Monday. You ever watch CNBC, the stock market show, where they’re running back and forth? That’s what it was like on Monday. Most of your members were down there, the non-classical members, the miscellaneous work, the casual work, were down there with a book that we used to print, like a calendar of pages – Monday to Sunday. You go in there and you talk with the contractor…You’d get Friday and Saturday with no problem. The others were gravy – Thursday, Wednesday and all that. Everything was live music. I remember my first experience with the union… my dad was a local member since maybe 1923, ’24. He played trumpet. And maybe I was four or five years old, he used to take me to the union on Mondays. It was a mad house I mean, it was really a mad house. That’s my memory. I liked it, I enjoyed it. People running around – are you working this night, are you busy this night, is it OK? I’ll write it down right now. They they’d run to a phone. I don’t know who they were calling, but they were calling somebody. The pay phones, the pay phones were jammed. They were waiting in line four or five deep. Paul Broadnax Mine was a different experience. I was an engineer. So mine was an avocation. It eventually became full time… I remember the first time I went [to Local 535]. I saw this little guy, a fat little guy with a cigar hanging out of his mouth, glasses on. (Fred Walker – “It was Clem, right?”) And he’d scare you to death. You know, look you up and down and make a judgement. He’d scare you to death. But like Fred said, it was a very competitive scene musically. I had an audition right at St. Botolph Street in the union building… He was an oboe player that did my audition. He took out a piece of music and I read it right off, you know, I had no trouble. He says, “You pass. Go ahead.” It was very short… his name escapes me, who he was. He was an active player himself. He was a professional oboist… so they asked him to audition the reed players. 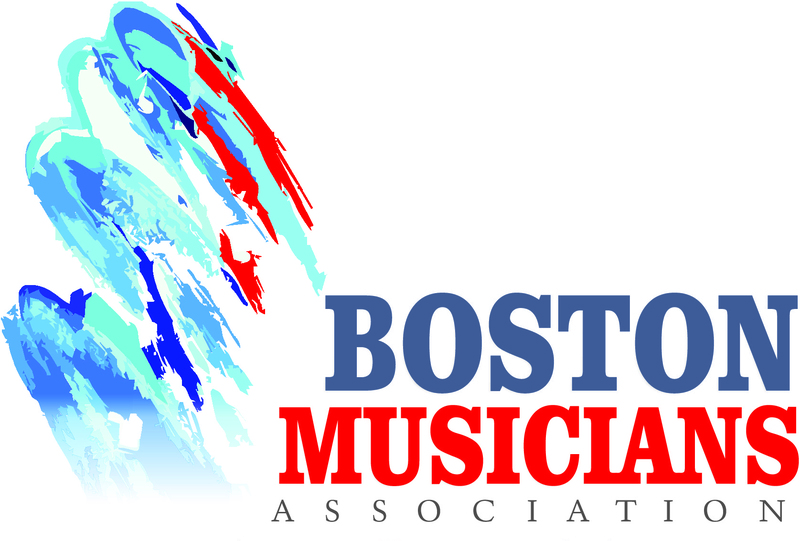 Dave Chapman … when I came up to Boston I went to the New England Conservatory. And the tricky part was not to have too many classes on Monday… Monday you had to get down to the union. Back then you’d have to keep your calendar clear for Monday. So you’d go down there, try to book some jobs, network – didn’t use that term then, but you networked – and that’s what kept 56 St. Botolph alive. We didn’t have cars. That was also the meeting place to go out on jobs, if you had to go out of town. I didn’t have a car until the 1950s. And most of my contemporaries didn’t. You know I have boxes of playing cards in my house from playing down the union hall and my wife says to me, she said, “Get rid of these things.” So I called up the V. A. and I said “Listen, I got 85 decks of cards.” I put ‘em in a couple of bags… Anyway, I got a letter from the VA and it says Thank you very much for the cards… Fred Williams 535 was strictly musical, OK? When you came to Boston that’s where you got your audition. We had musicians like Sam Rivers, G.G. Grice, Quincy Jones, Jackie Byard. When you came in that door, they had a piano down there. If you were a new saxophone and playing in town, you played some tunes. And they’d walk out and evaluate you .. Does he really know what he’s doin’? He sounds like he’s way out, but he’s doin’… that was our evaluation. Very short. No pool tables, no conversations. Strictly music. And we worked around the corner. We’d go in town Boston and go from one club to another carrying a Hammond organ. And I worked around the clock, seven nights a week. When you walked in the door it was scary. The entrance was packed. The wise guys stayed at the entrance and nailed the contractors coming in. You had a lot of guys that stayed around all week. They played cards. It was their second home – maybe even their first home… and when you walked in the door they’d look you over – up and down like you were a piece of meat. Like, who the hell is this guy? What does he know? You know. And it was kind of intimidating. If it was that way for me, I can imagine how it was for a woman. Oh it was an eye opener. And again, it was so different because temperaments would flare, the swearing would flare, and the cigar smoking and the pipe smoking was all there and I sat in this room. The meetings ran so late, like ‘til 3 or 3:30 in the afternoon. It would just be a lot of time arguing. They got into personalities. You said this, no I didn’t, yes you did, that kind of thing… and then one would get up and bang on the table… I didn’t expect it to be like that. And I didn’t dare say anything at the time. I really kept quiet during those meetings, because I thought, forget it, they’re not even going to listen or they won’t even hear me. And I just kind of took it all in and was frankly kind of happy to get out at the end of the meeting, because I smelled like a smokestack… for one thing. And just the yelling… really I didn’t expect that at all. Little by little… when the swearing got to be too much I put up my hand and said “I want 25 cents for every swear word I hear.” And they looked at me like, are you kidding? They thought I was totally out to lunch. And I said, “I’m serious.” So one of them jokingly, gave me a quarter. And it got to be sort of a joke. But every time someone said something, I got a quarter… Well I got up to $11 in quarters, and by that time I think they realized, let’s cut this out or at least cut it down… we don’t have the yelling and the screaming and the swearing anymore. These people [current officers] are intelligent. I know I sound like I’m really knocking the old regime, and maybe I am in a way, but I’m so glad that it’s not like that today… There’s been a huge improvement.